1) Spend a night in Cinderella’s Castle Suite -I know this is on the bucket list of almost every Disney fan. 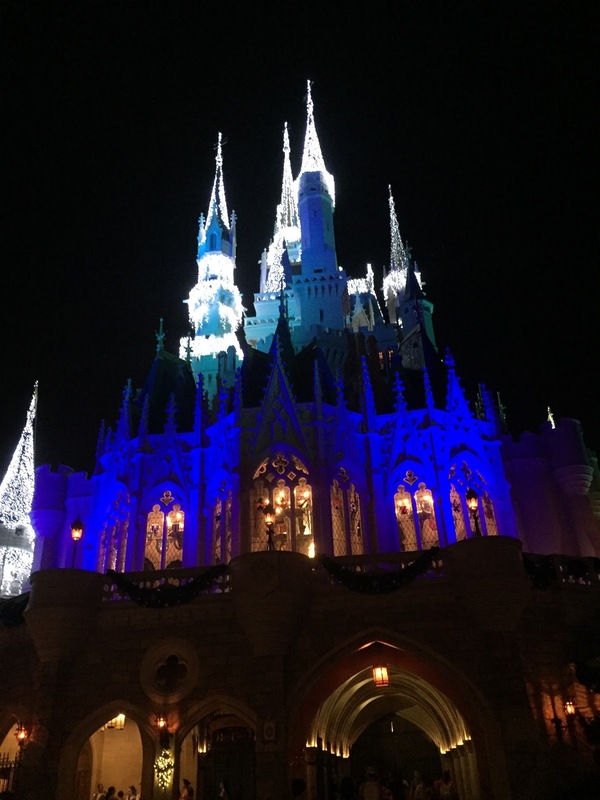 The Cinderella Castle Suite was originally intended for Walt Disney and his family. When Walt passed away before the completion of Walt Disney World, the suite remained unfinished. It was finally completed for the “Year of a Million Dreams” promotion. During this special event, guests could be chosen at random to win a night in this very special suite. In fact (unless you’re Beyonce or something), you can’t book this room, you have to win it. This is part of what makes it so special. If you’ve ever been selected for this special opportunity, please let me know and we can share your experience! 2) Experience a Ride Evacuation -Why would you want to experience a broken-down ride? When rides break down at Walt Disney World, sometimes they will have to evacuate the ride building and vehicles. While it’s unfortunate that you won’t get to experience the ride in its entirety, you will get some pretty cool behind-the-scenes access. This is particularly true for dark rides. You don’t get to see these rides with the lights on. Getting evacuated from a dark ride gives a cool new perspective and is something that many Disney nerds want to experience at some point. 3) Mickey’s Not So Scary Halloween Party -I’ll get to cross this one off the list next month. I was able to attend Mickeys Very Merry Christmas Party last year and had a great time. I love the special character meet and greets, shows, parades…the whole experience. I’ve had the Halloween party on the list forever. Until the debut of Happily Ever After earlier this year, Hallowishes was supposed to be the best fireworks show on Walt Disney World property. I can’t wait to see Hallowishes and for the Hocus Pocus Villian Spectacular. There’s more to do at this party than you can feasibly do in one outing, but I’ll try to cover as much ground as I can. 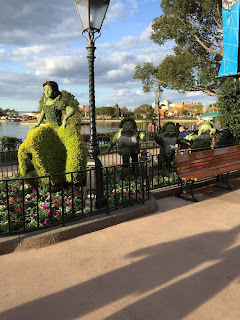 4) Epcot Flower & Garden Festival -While I have managed to make it to the Epcot International Food and Wine Festival for the last few years, I have somehow always missed out on the Flower and Garden Festival. 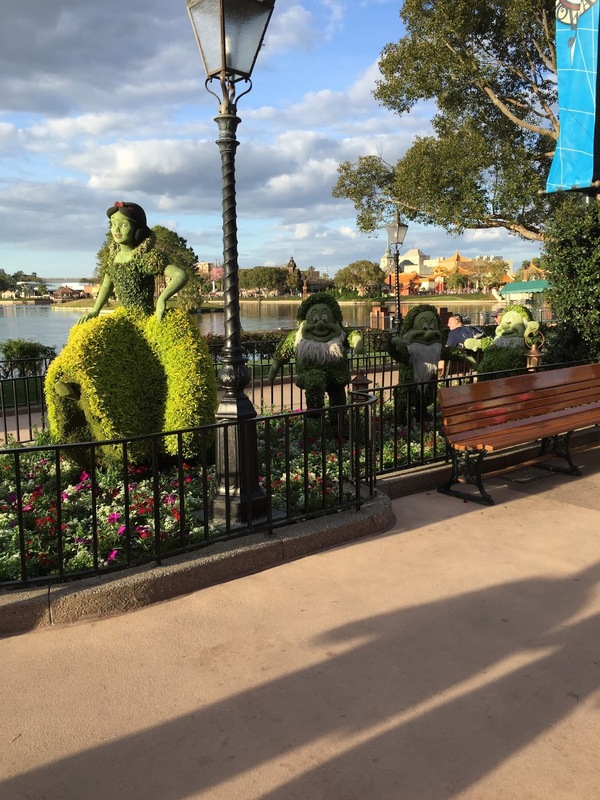 When I ran the Princess Half Marathon, I was able to see some of the topiaries. When Nicole and I were there for the inaugural Dark Side Half Marathon we only spent two days in the parks and missed out on visiting Epcot. I’m planning on possibly running the Dark Side Half Marathon again in 2019, so I’ll make sure to be in Epcot for Flower and Garden. 5) Stay at Disney’s Polynesian Resort Hotel -The food, the atmosphere, the views…there’s so much to love about Disney’s Polynesian Resort Hotel. As one of Disney’s higher-end deluxe hotels, this one has always been outside of my price range, but boy would I love to stay there. 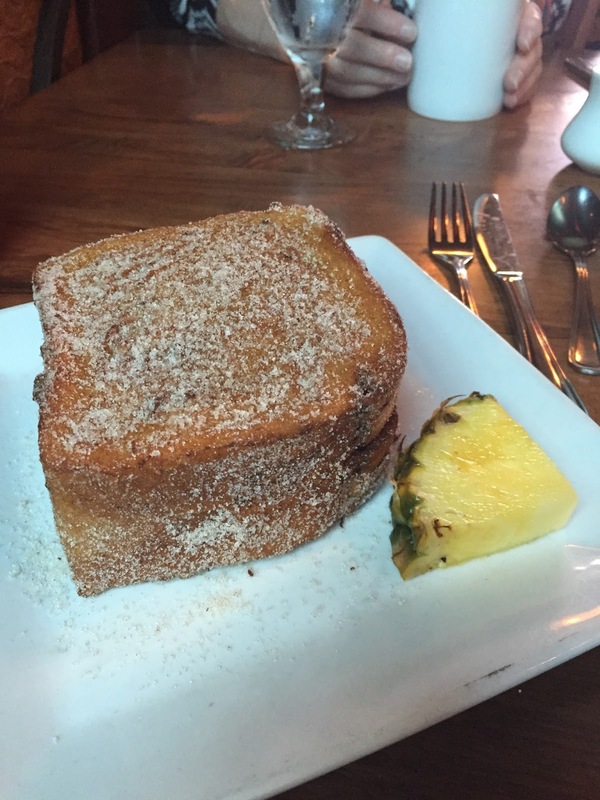 It would be so great to walk down to get Tonga Toast each morning and have a dole whip each night. Magic Kingdom and Epcot are just a monorail ride away. You can even end the night at Trader Sam’s Grog Grotto. 6) See Happily Ever After from the California Grill -I should probably add just “see Happily Ever After” to this list, since I still have not seen Magic Kingdom’s newest fireworks show yet! However, there’s something that sounds so elegant about watching it from the top of the Contemporary resort with the music piped in and a fabulous dinner in front of me. I sounds like a completely perfect way to end a night in the happiest place on earth. 7) Ride the Peoplemover at Night -It’s no secret that I absolutely love the Tomorrowland Transit Authority aka the Peoplemover. However, I’ve never managed to score a ride on this one at night. I’d love to take this tour of Tomorrowland with it all lit up in neon at night! 8) Visit Pandora -Ever since its opening on Memorial Day weekend, I have been amazed by the newest world that Imagineers have created in Disney’s Animal Kingdom. The scenery, the food, the attractions…I can’t wait to experience it all!. My Disney nerd friends have told me that Flight of Passage is the greatest attraction the Imagineers have ever created…that’s a big compliment! When I travel to WDW in October, I plan to spend a full day taking in Pandora. If I have to wait three hours for Flight of Passage, so be it! As a Disney foodie, I can’t wait to eat at Satu’li Canteen. I love all the different menu options! I’m also excited to see the audio-animatronic technology in Na’avi River Journey. The Shaman of Songs is the most complex Audio-Animatronic that Imagineers have ever created. I can’t wait to see it! 9) Dine with an Imagineer -Did you know you can actually enjoy a meal with one of Walt Disney World’s Imagineers? At the Hollywood Brown Derby restaurant at Disney’s Hollywood Studios or at Citricos in Disney’s Grand Floridian Resort you can make an Advanced Dining Reservation enjoy dinner with an Imagineer. You need to be 14 years old or older to participate in this experience. Here, you’ll get the opportunity to ask an Imagineer your questions about Walt Disney World. Learn about their creative process, what it takes to be an Imagineer, and get insight into Disney Parks and Resorts in this incredible experience. 10) The Dopey Challenge -Obviously this one is on the list! I can’t wait to check off this monster in January!